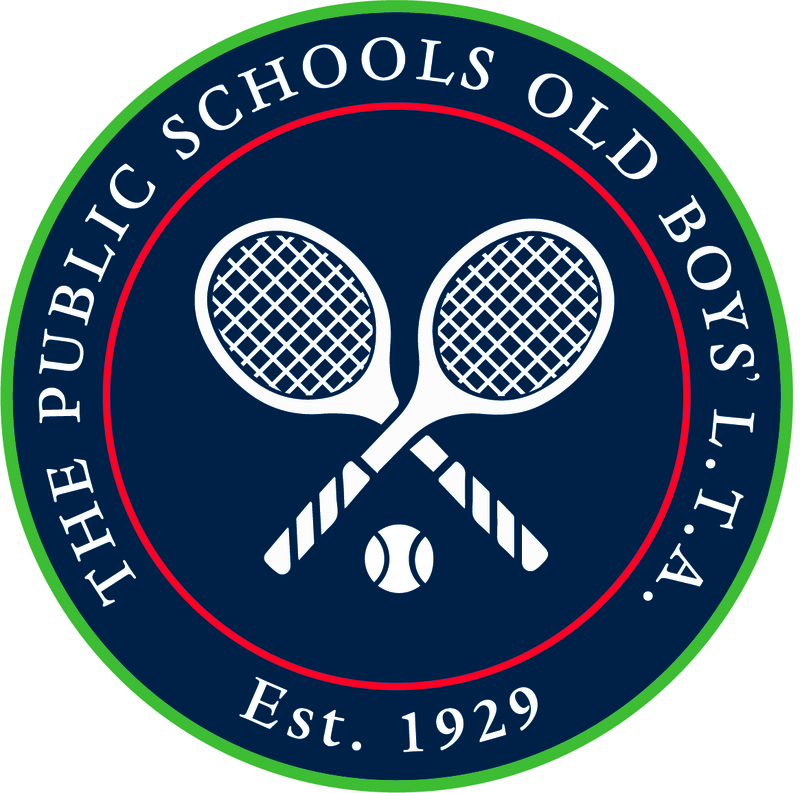 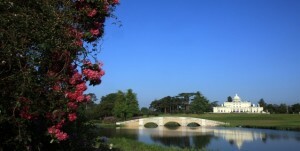 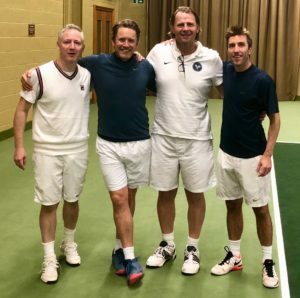 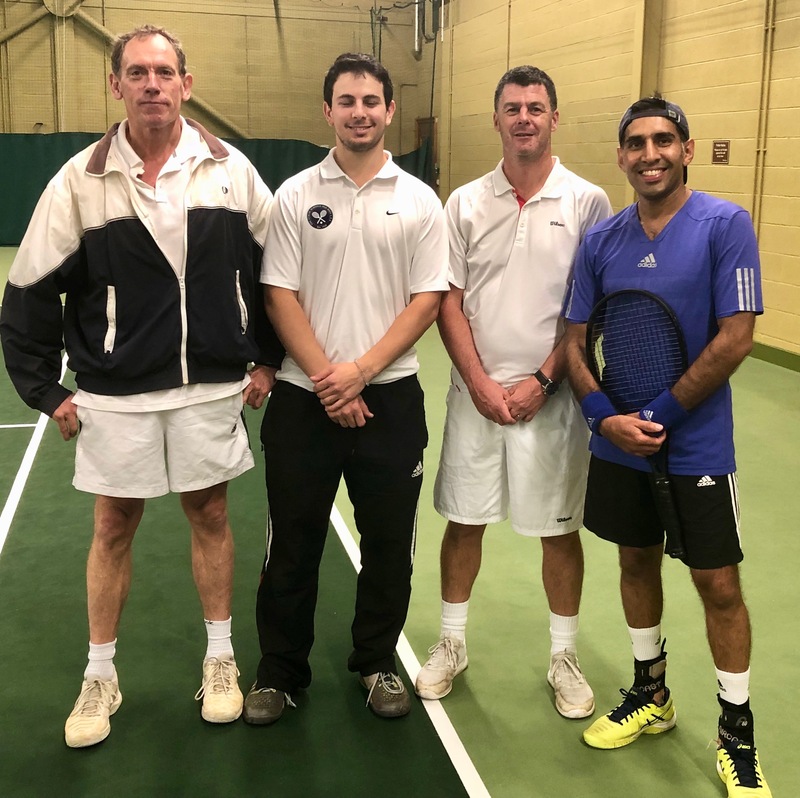 The final match of the PSOBLTA season took place on the indoor courts at the fantastic Stoke Park. As always a great match and played in fine spirits with some fireworks on court (in blistering shots rather than temperament!). 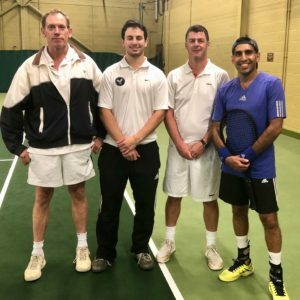 The Pubs first pair was too strong winning both matches and the Pubs second pair played well and split sets with both pairs. Afterwards, a majority of the team enjoyed the fine fireworks display at Stoke Park – a good way to mark the end of the season!